This is a recent arrival of kerosene pump stove with 2.5 litres tank capacity. Very much suitable for village and remote areas where LPG gas cylinder is not available. Available in 5 litres tank capacity also for tea stalls and other usage. Neatly packed in thick board boxes and available in ready stock. Shipping charges extra to be paid. - it is manufactured from the best material of indian standard specifications under expert supervision and is built to give life-long companionship. - this stove is delivered with container of polished brass and m. S. Pressed top plate. These are manufactured from mild steel or CRC sheet and are painted with enamel coat. The entire range is highly efficient as they save 30% of energy and cook 20% faster as compared to other popular brands. We offer the Wick Stoves at very competitive prices and in different sizes. 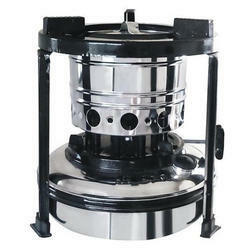 We are an accomplished organization which has gained name and fame in providing Kerosene Wick Stove to the customers. Moreover, we offer these power sprayers in various specifications. capacity : 2l itre, total weight approx: 2kg, angle size: 3/4"
Only the best quality raw material are used for this superbly dependable kerosene cooking stove. - Each stove is pressure tested. 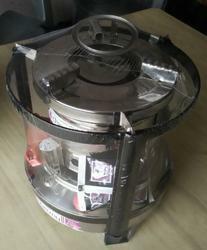 - Only the best quality raw materials are used for this dependable kerosene stove.